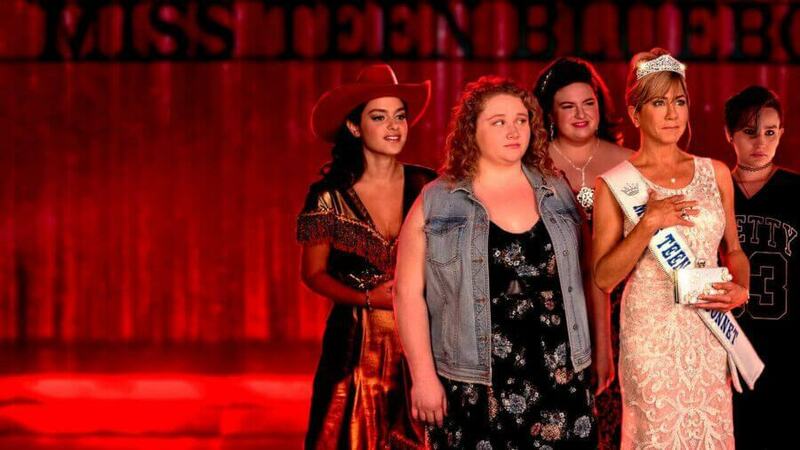 What's on Netflix > Netflix News > Dumplin’ on Netflix: Should you watch, Soundtrack, Cast List and Sequel? Dumplin starring Jennifer Aniston is now streaming on Netflix and if you’re looking for everything you need to know before and after you watch, you’ve come to the right place. We’ll cover what the movie is about, why you should watch it, whether you should skip it and everything post watching such as where you’ve seen the cast and the soundtrack. What’s the movie about and who’s behind it? If you saw Insatiable earlier in the year, there’s a lot of parallels with this movie. Jennifer Aniston plays a mother of a plus-sized teenager who breaks the tradition and takes part in a beauty pageant. You’ll remember Insatiable was hammered with criticisms but Dumplin’ doesn’t look to have faced similar criticisms. The movie is written by Kristin Hahn who produced the screenplay based on Julie Murphy’s work. The movie is directed by Anne Fletcher who’s known for her work on The Proposal, Step Up, Hairspray and The Pacifier. The movie was made available on Netflix worldwide on December 8th. The reviews for the movie are favourable from the likes of Rotten Tomatoes and IMDb user reviews but the Metacritic average so far has just dipped under 50. On the two spectrums of the review score, the movie is praised for its clever writing but notes it often falls for cliches and stereotypes. Most film reviews seem to point to the fact that the movie is more of a movie on Dolly Parton than it is on the original source material. On the flipside, the movie has already been nominated for a Golden Globe for its soundtrack specifically for the song called “Girl in the Movies”. As you probably have figured by now, Dolly Parton is a massive part of this movie. In fact, the famed country artist released a new album with many of the songs found in the movie. Here’s a complete breakdown of the songs featured in the film and then we’ve embedded the album from Spotify below that. Maddie Ballio Millie Hairspray Live! As per usual, Netflix has booked Jennifer Anniston to appear on a plethora of different talk shows through the past week including on Jimmy Kimmel and Ellen. The movie is predominantly filmed in Atlanta, Georgia. This is unsurprising as most movies are filmed in Georgia thanks to the states generous tax cuts. Is Dumplin’ based on a true story? No, the movie isn’t based on a true story. Instead, it’s based on the novel from 2015 of the same name. There very well could be. Julie Murphy currently has as second book out called Puddin’ which was released in May of this year. The movie would likely consist of a different cast. What did you think about the Dumplin’ movie on Netflix? Let us know in the comments.